An angelic creation of an old school love sight with the huge gigantic tree with blooming icy pink daisies in the spring. The tree under which you use to sit with your girlfriend and fantasize a really long love life together. This perhaps taken place with the forwarded texts and screenshots. 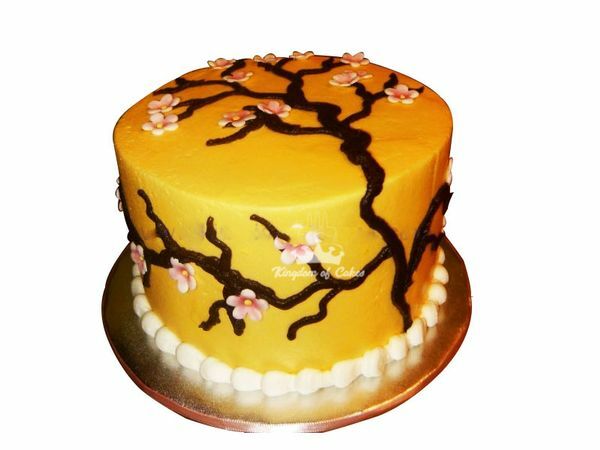 But, we suggest that you take some time out to cut this awe-inspiring old school romance heavenly flavored Bloom in Love Fondant Cake.